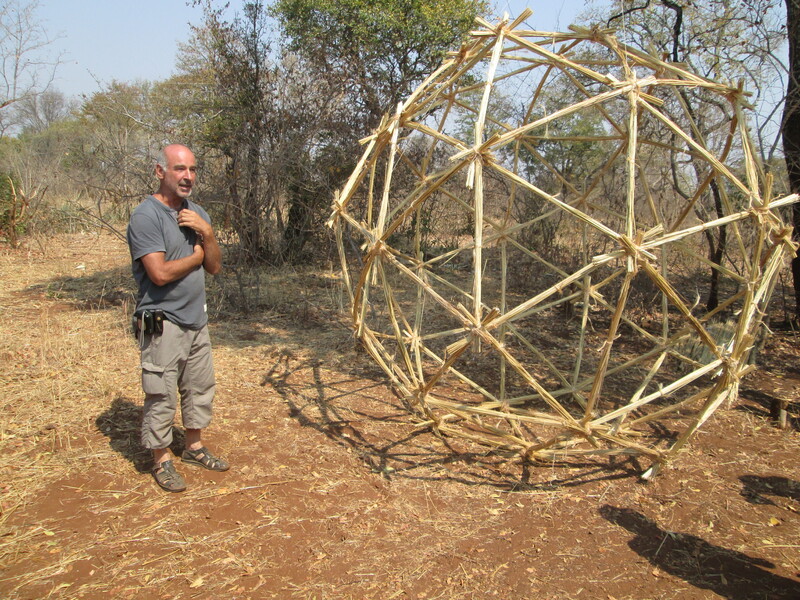 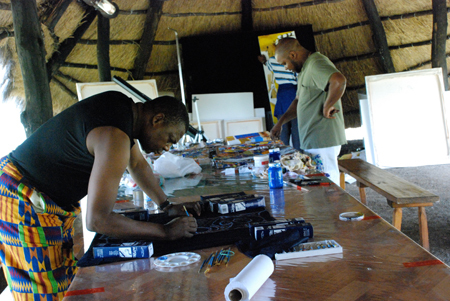 David Makala expressing his creative discourse, Insaka International Artists Workshop, 2015. 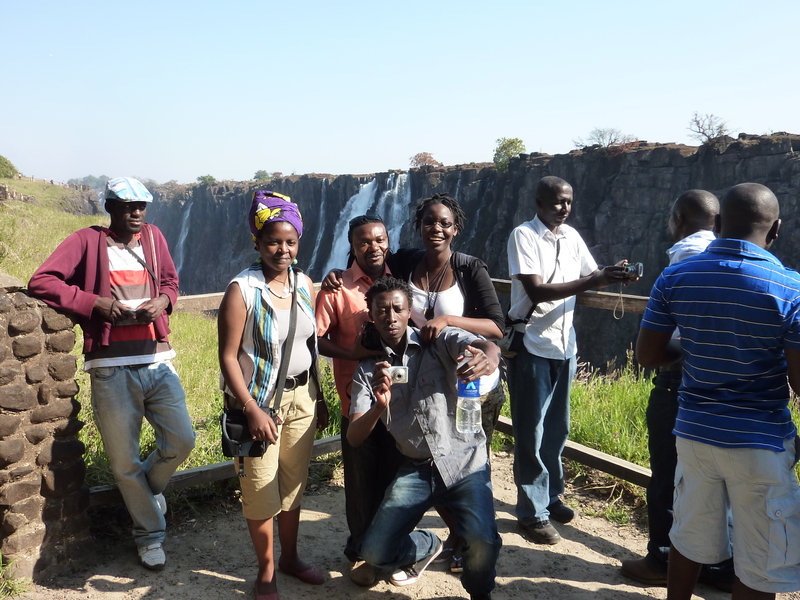 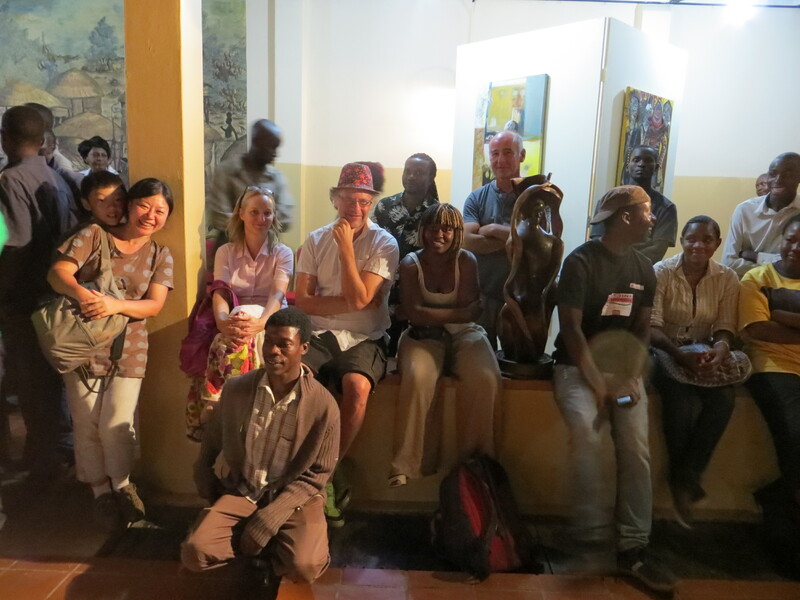 2013 Insaka International artists workshop participants the Mosi-O-Tunya falls enjoying a light moment. 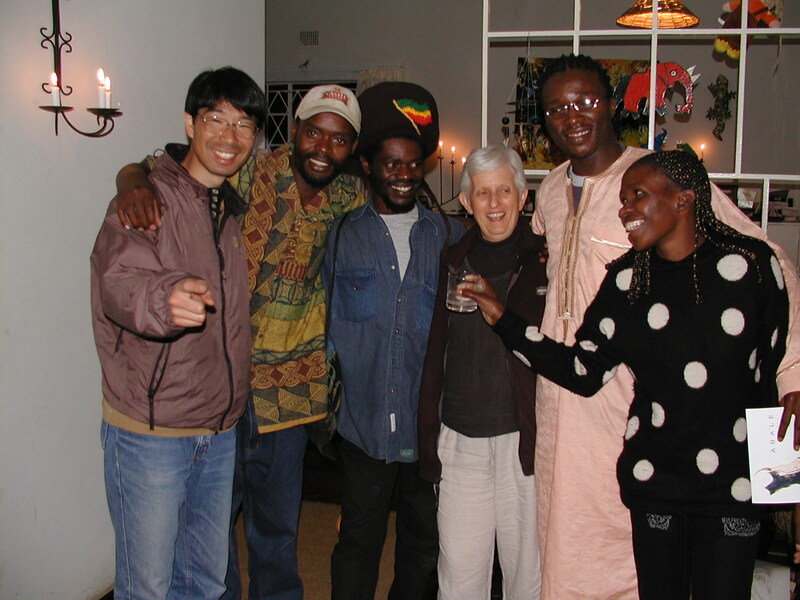 David Mwansa, Seble Weldeamanuel, Chilonga Haji, Mulenga Mulenga, Victor Mwakalombe, Aubrey Chali, Lombe Nsama and Ngandwe Mwaba. 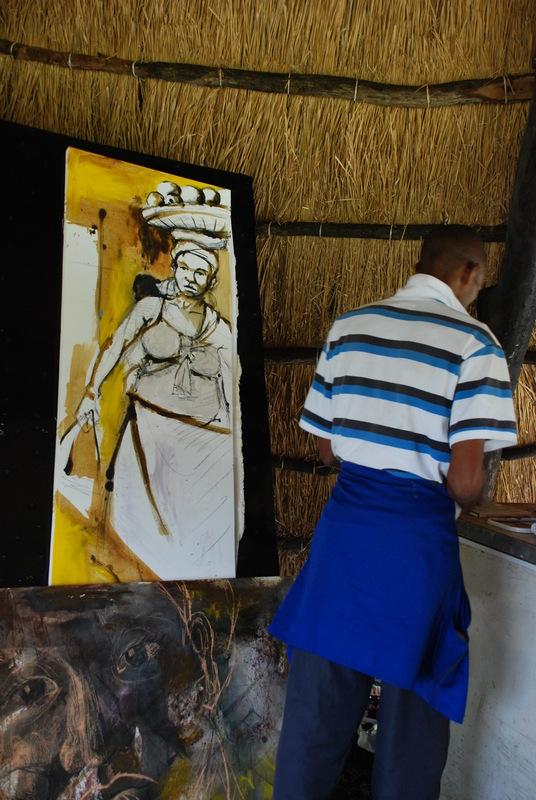 Hennelie Coetzee work of portraits using charcoal and animal fat as paint. 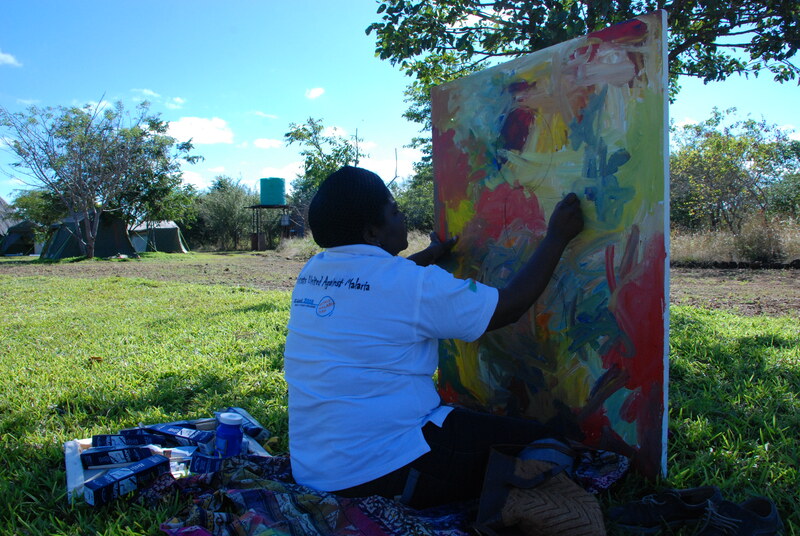 Seble Weldeamanuel slow spoken but her work from the on set of the 2013 Insakartists workshop live to tell more stories…………………..
David Mwansa is one of the artist who showed great enthusiasm during the workshop David Chibwe is one of Zambia’s senior artists who attended the 6th International workshop…. 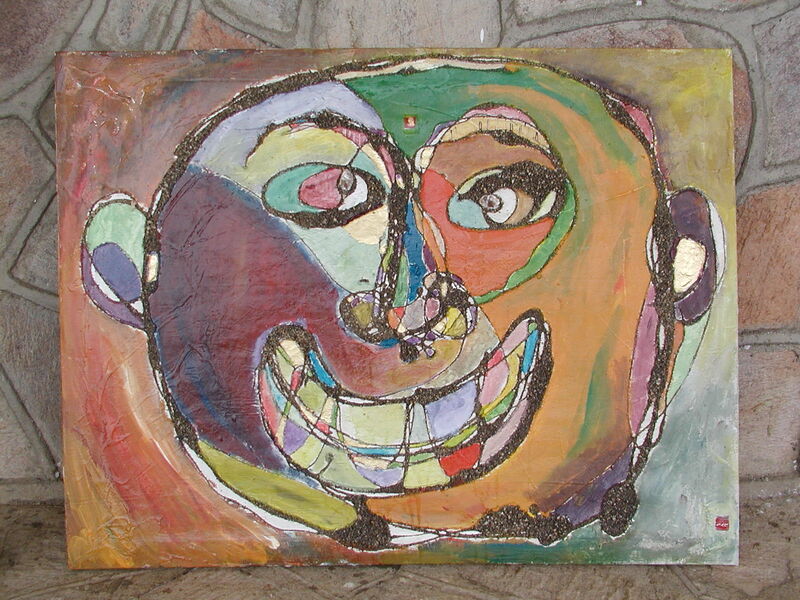 though advanced in age his work still showed youthfulness. 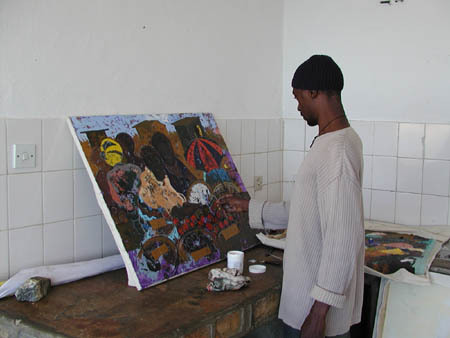 His discipline towards his work was a source of much needed inspiration to the upcoming new generation of artists. 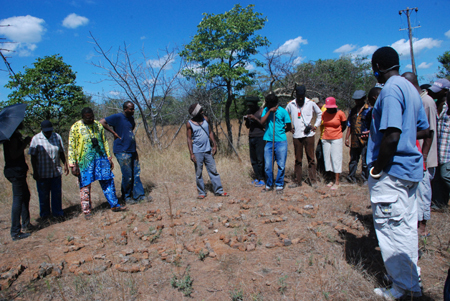 David Mwansa during the walk about presentation for the workshop. 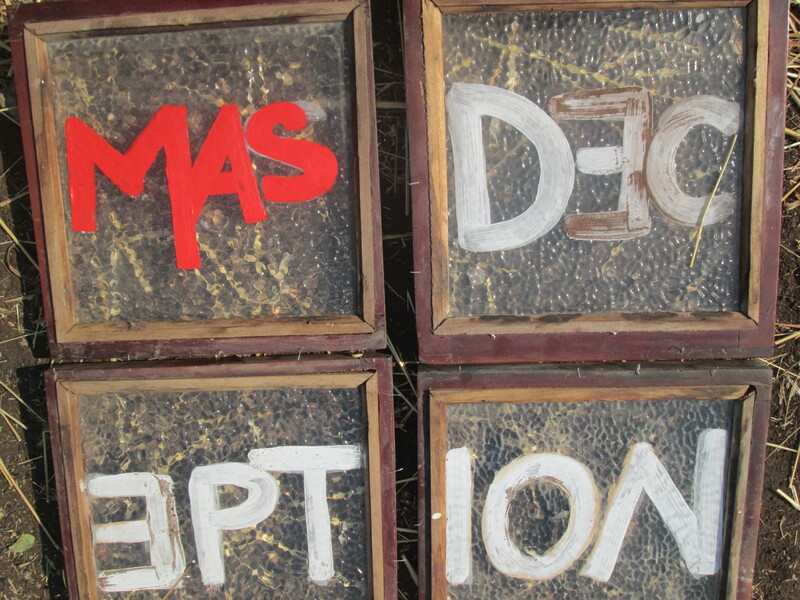 “MASS DECEPTION” a piece done by Gladys Kalichini who despite her late arrival in the workshop due to her exams came in with such great enthusiasm the inspired many to continue working in the scotching sun without letup. 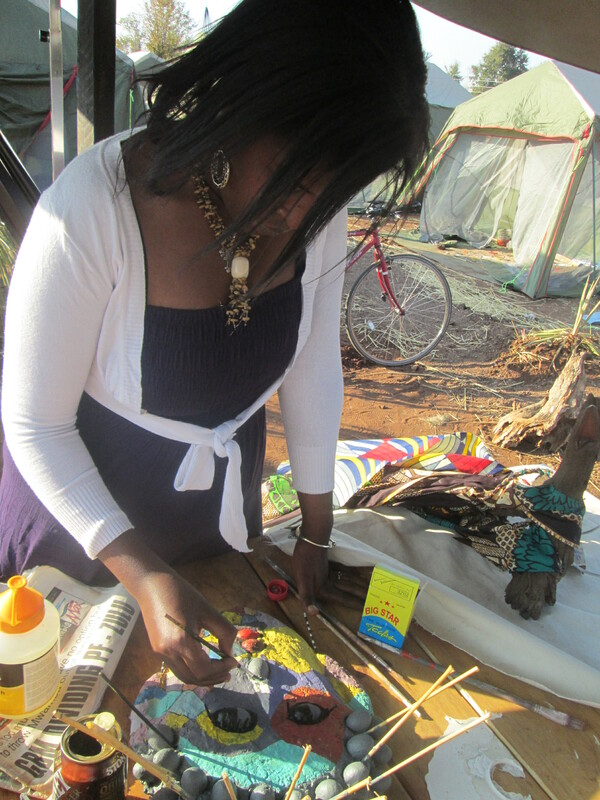 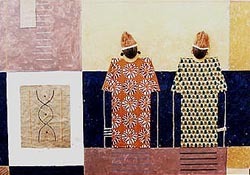 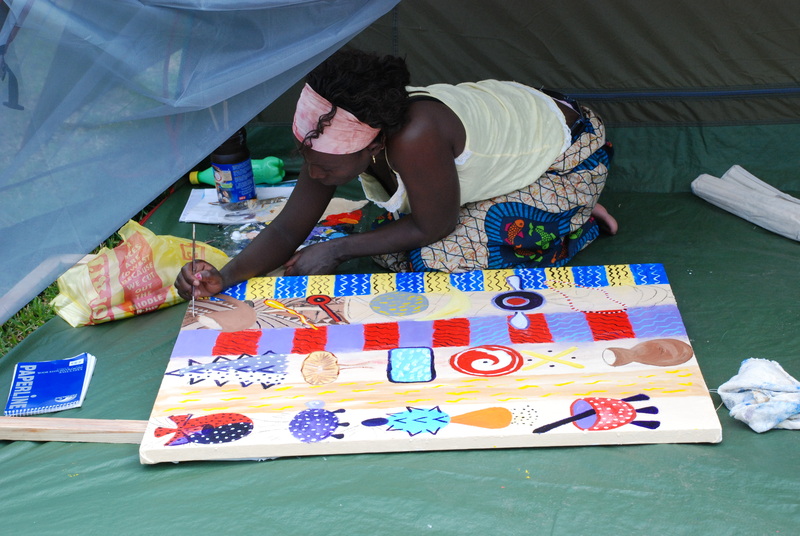 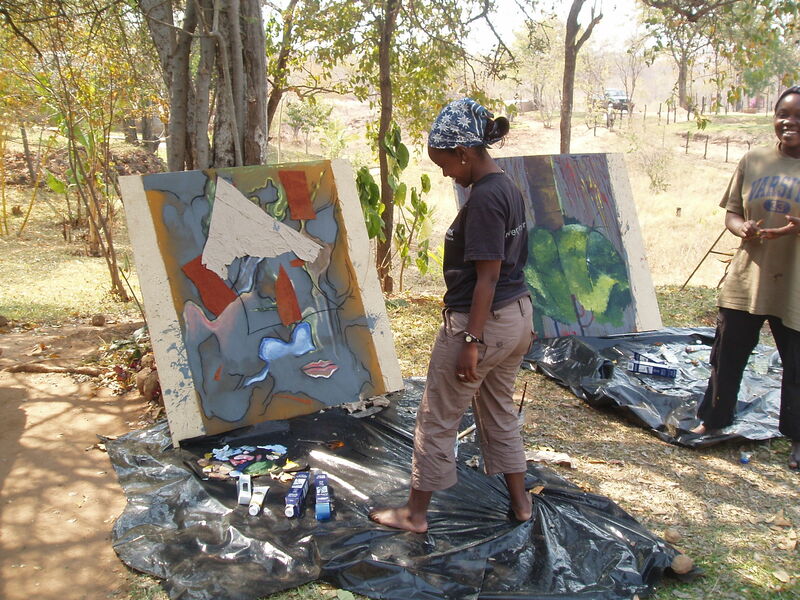 Caroline Miyoba a Zambian artist whose work is an exploration of colors and ideas emanating from personal experiences. 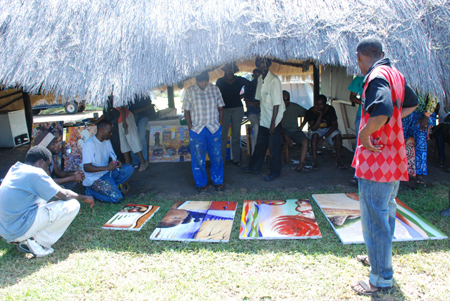 They are simply works of feeling and the society around the Insakartists workshop 2010. 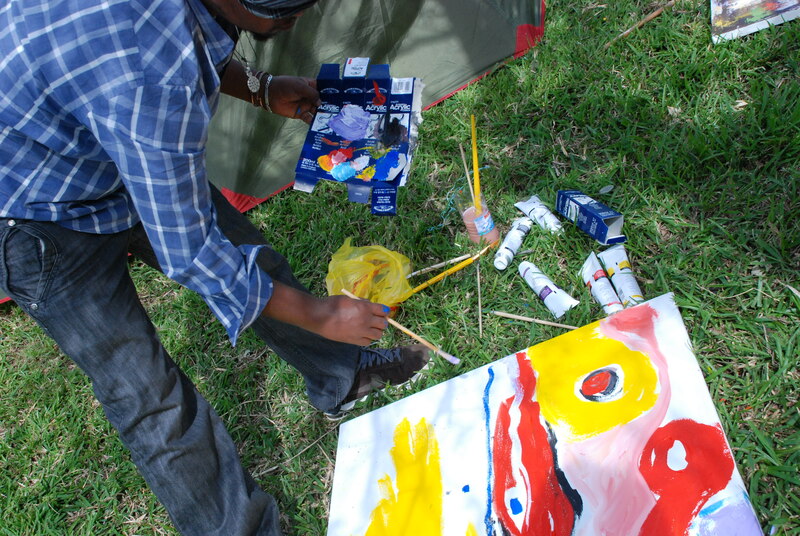 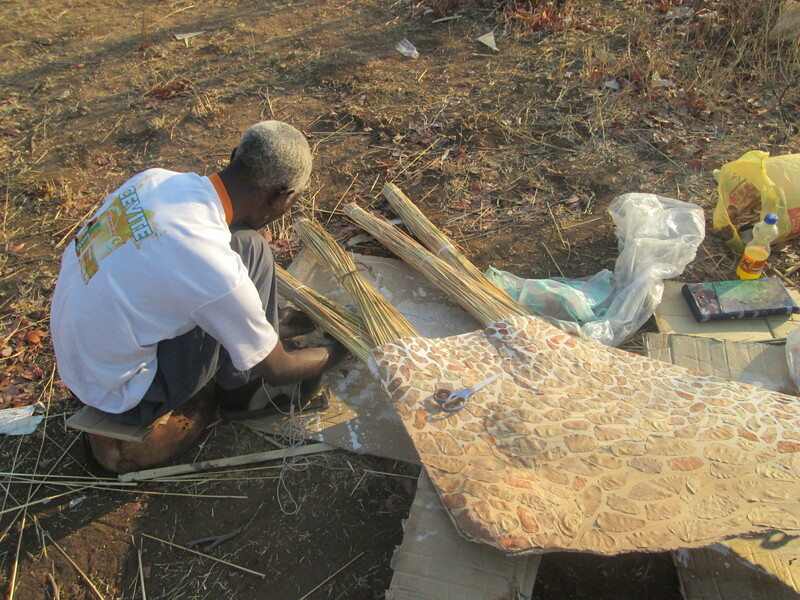 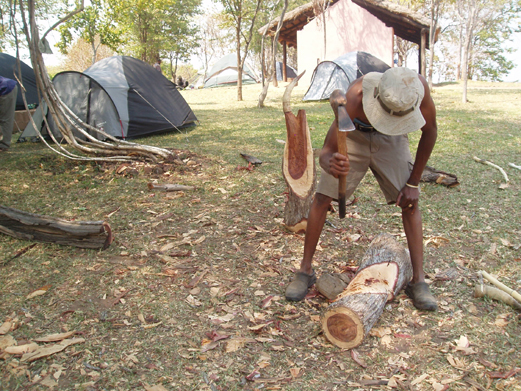 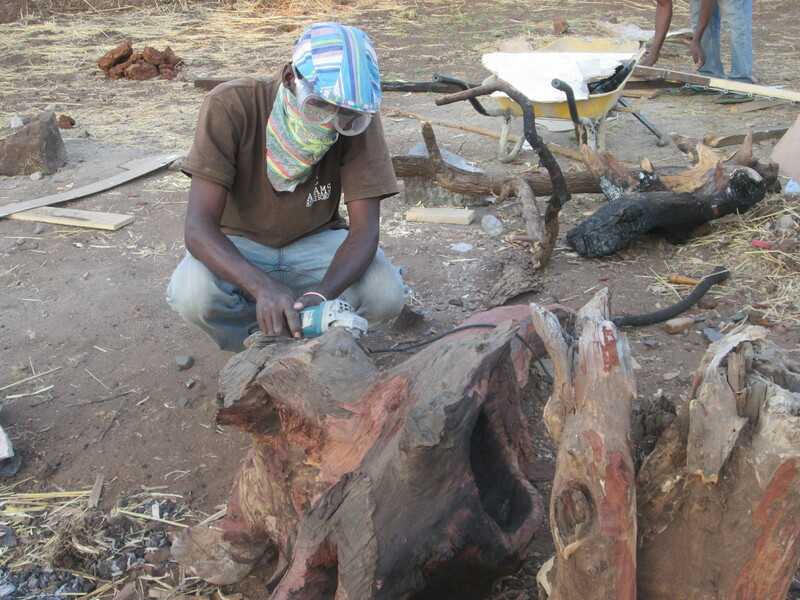 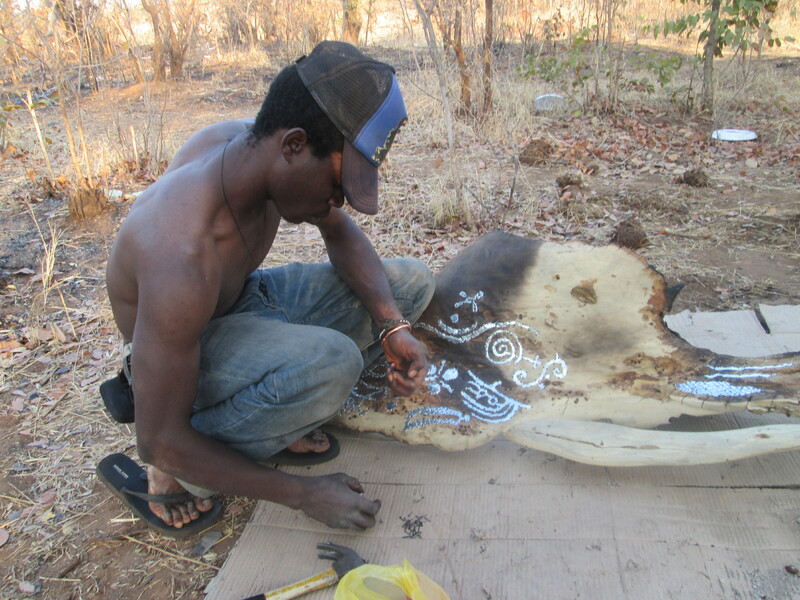 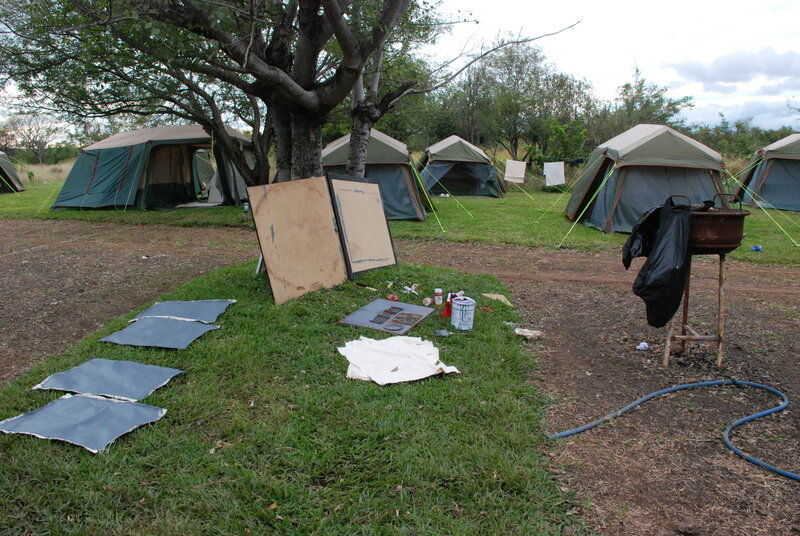 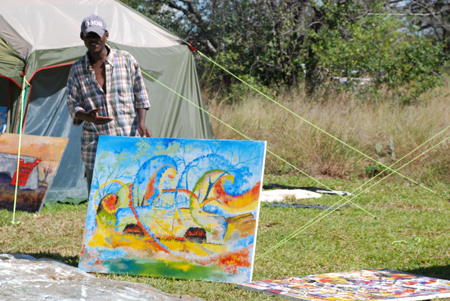 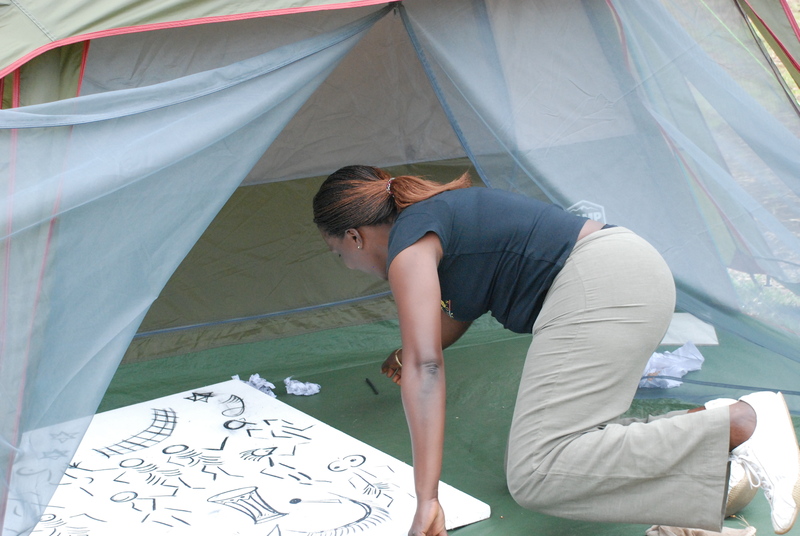 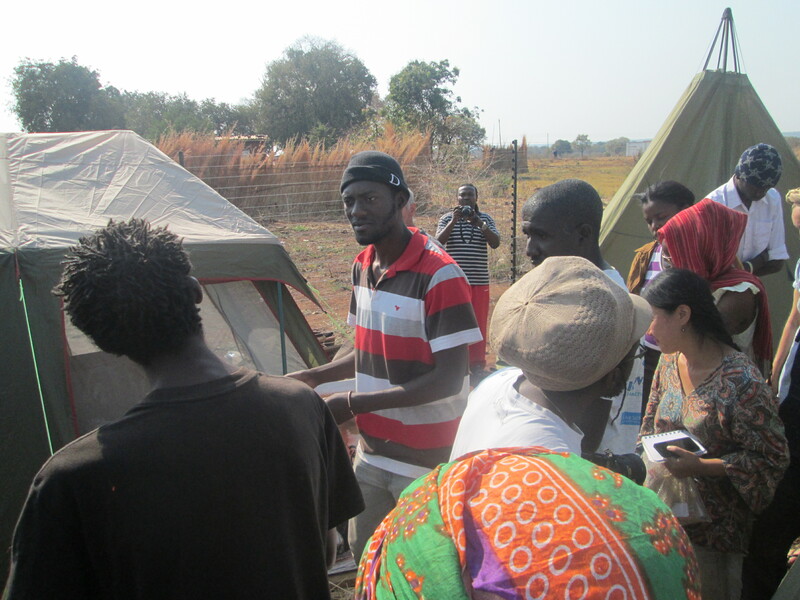 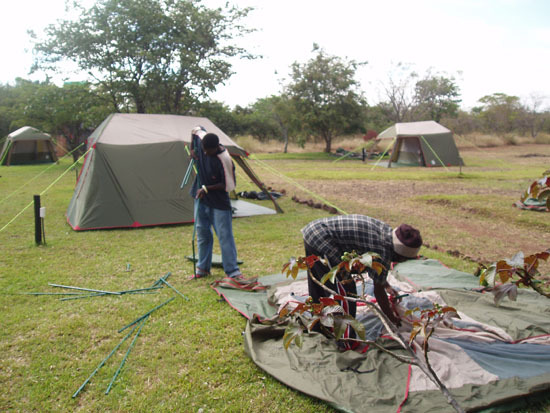 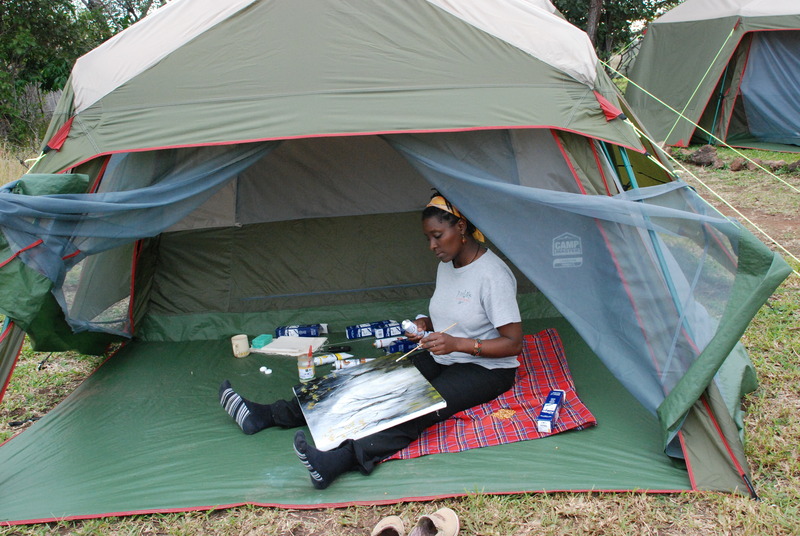 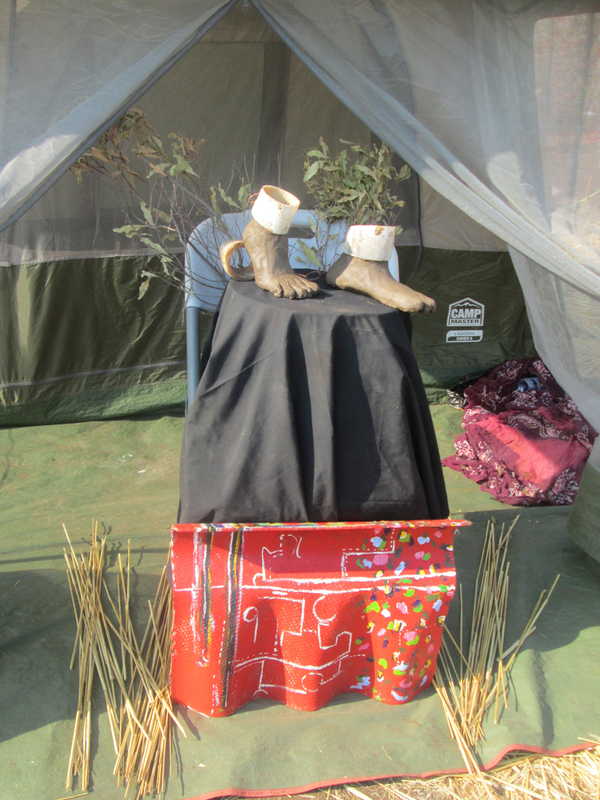 Kingsley Kapobe at his tent doing what he does best and that’s making art! 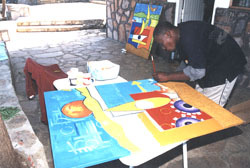 Caleb Chisha A young Zambian artists who had much to benefit from the interaction he got from more experienced artists both international and local artists. 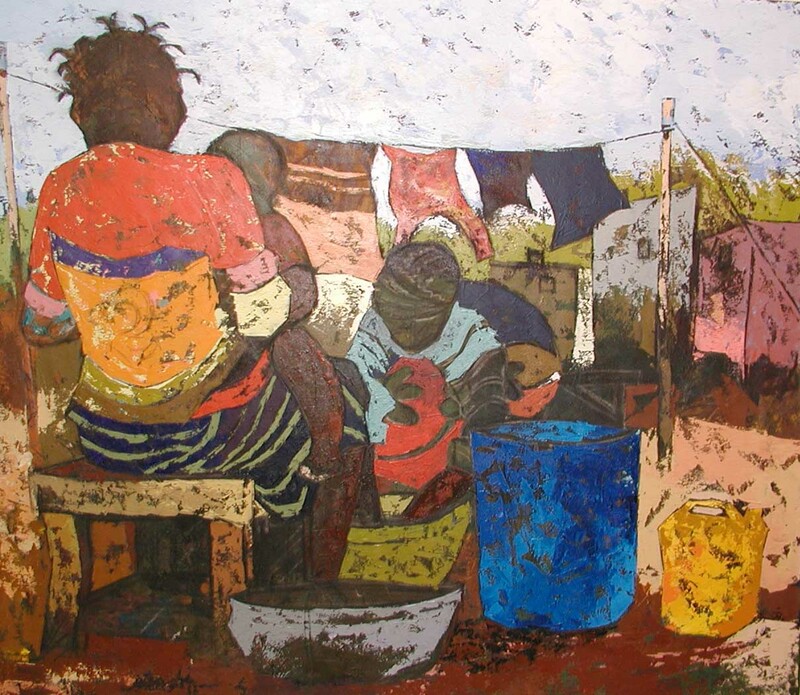 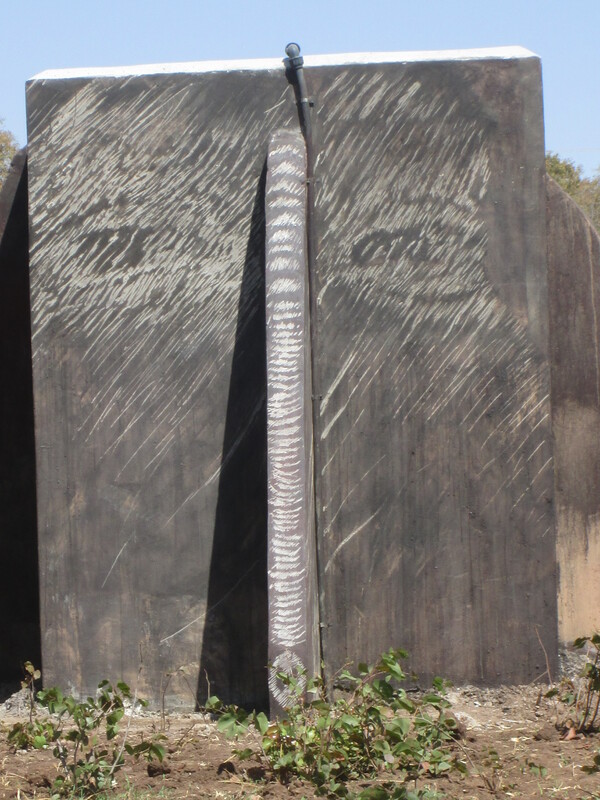 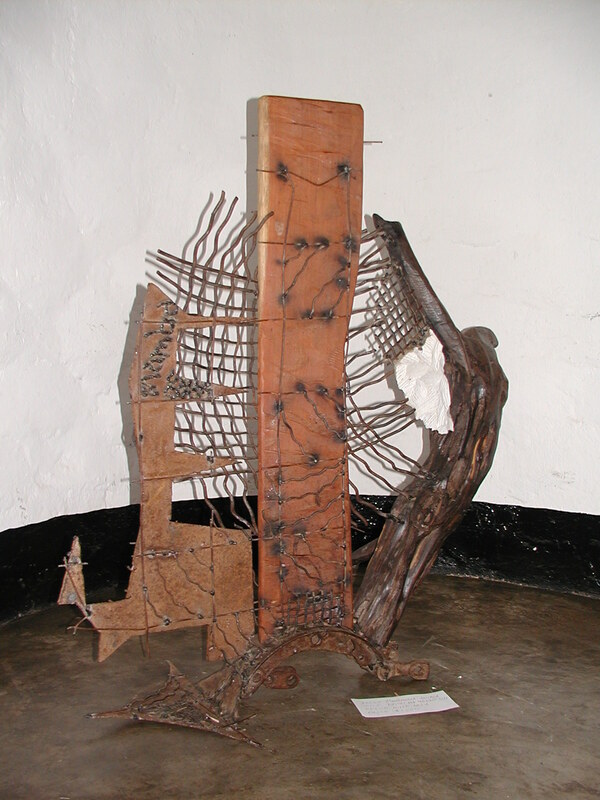 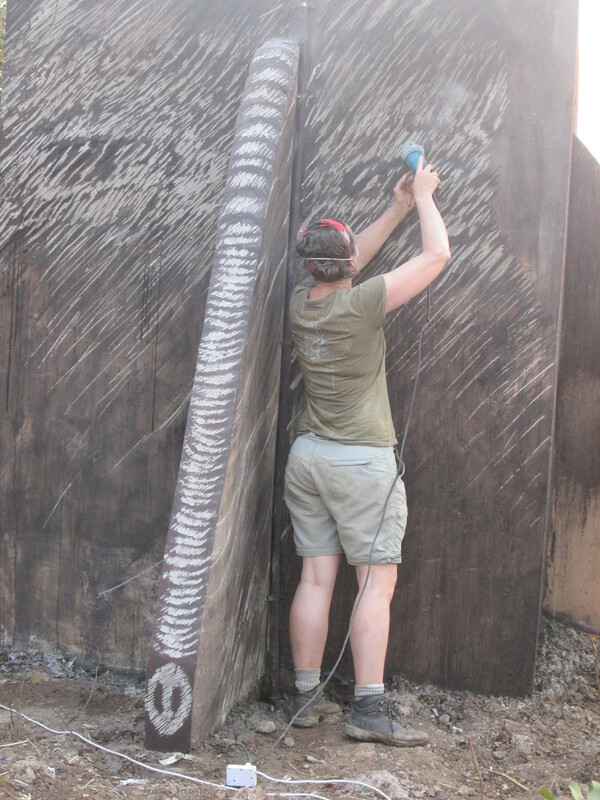 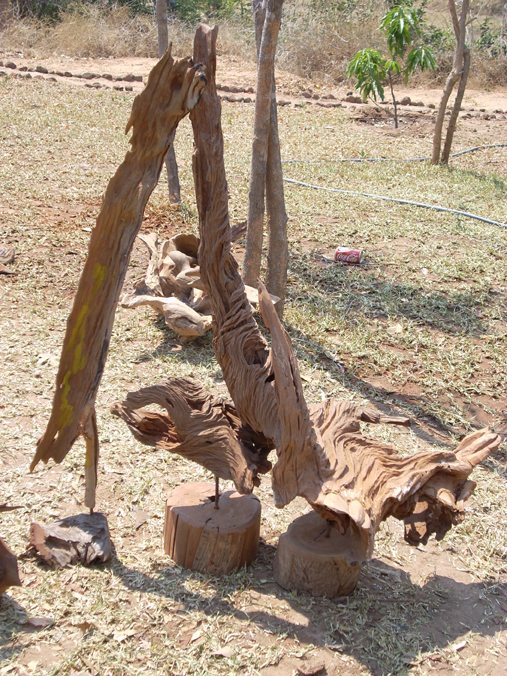 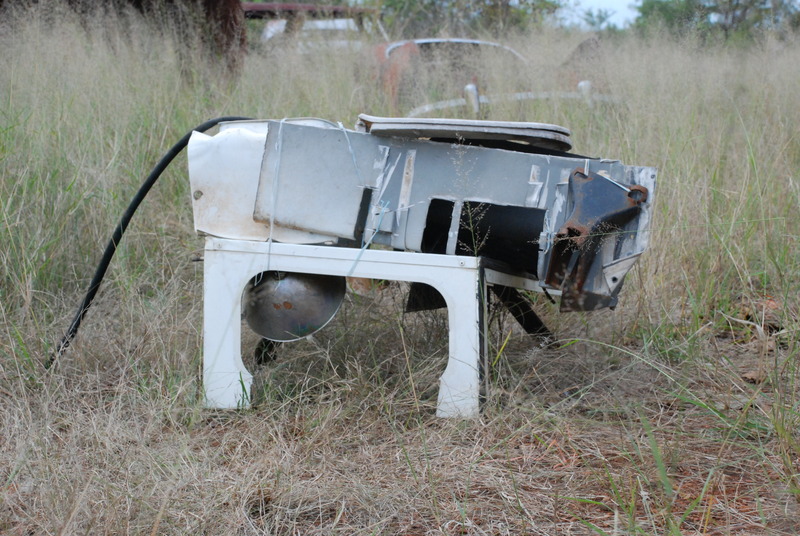 Mary Ogembo is A Kenyan artist whose experimental works got inspiration from the environment and culture of around. 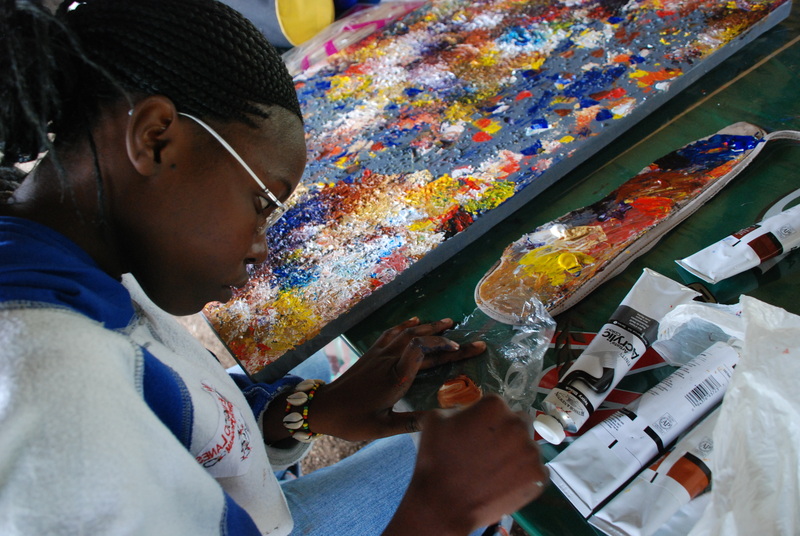 Caroline Mbirua a Kenyan artists had this about her experience at the 2010 Insakartists workshop. 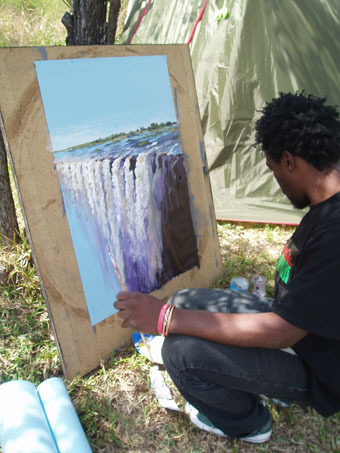 “I have been greatly inspired by the beauty and originality of the nature around me and I fell the workshop couldn’t have come at a better time to revive the landscape artist in me. 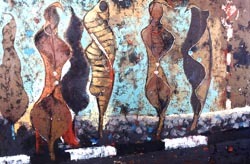 My painting talk about how the nature talks to me through colors and form ,I simplify them to soft tones and they are easily interpreted by viewers”. 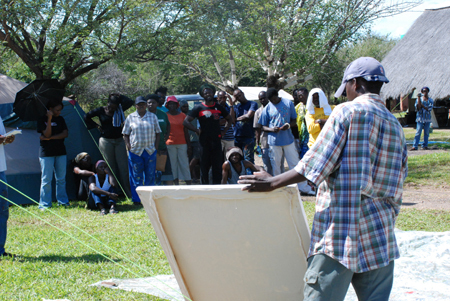 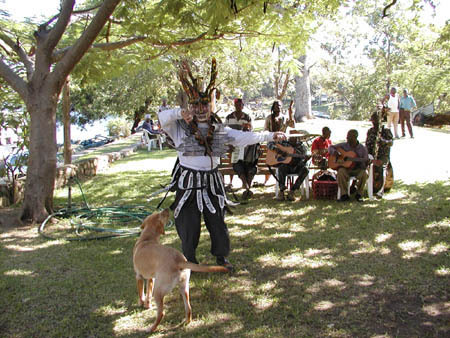 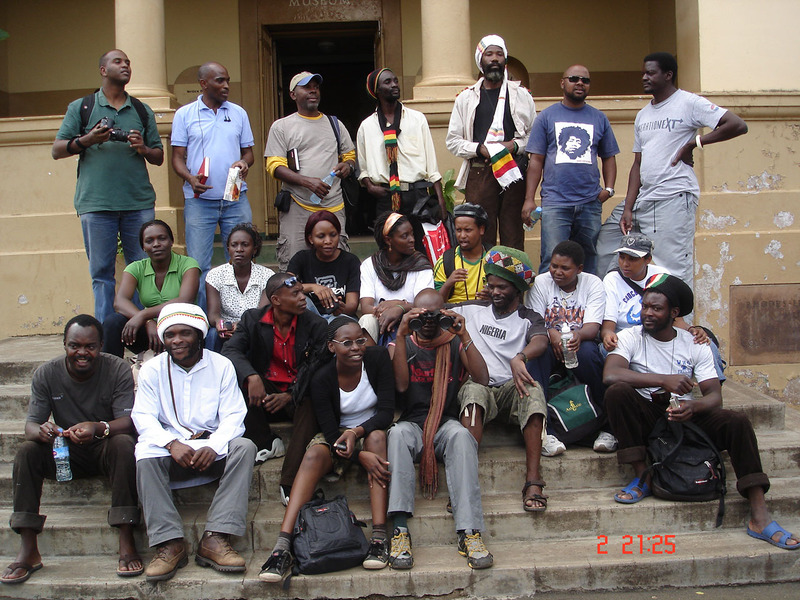 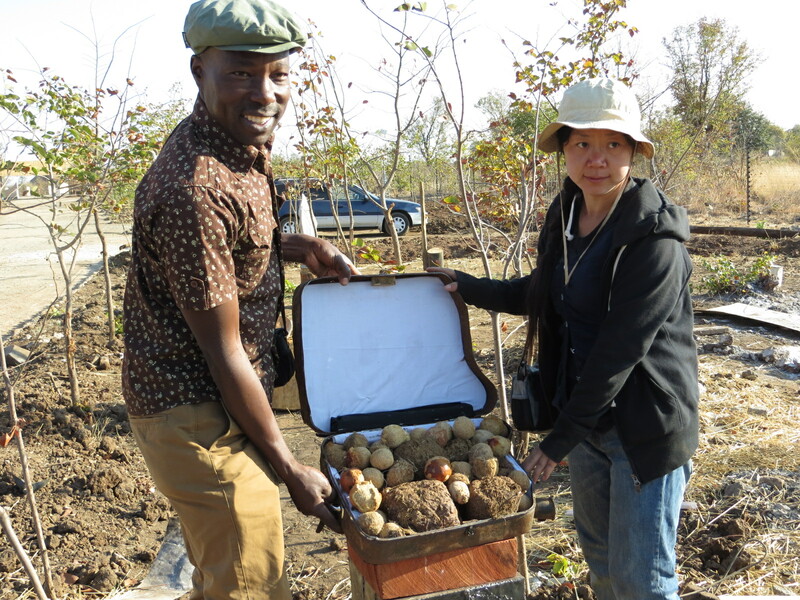 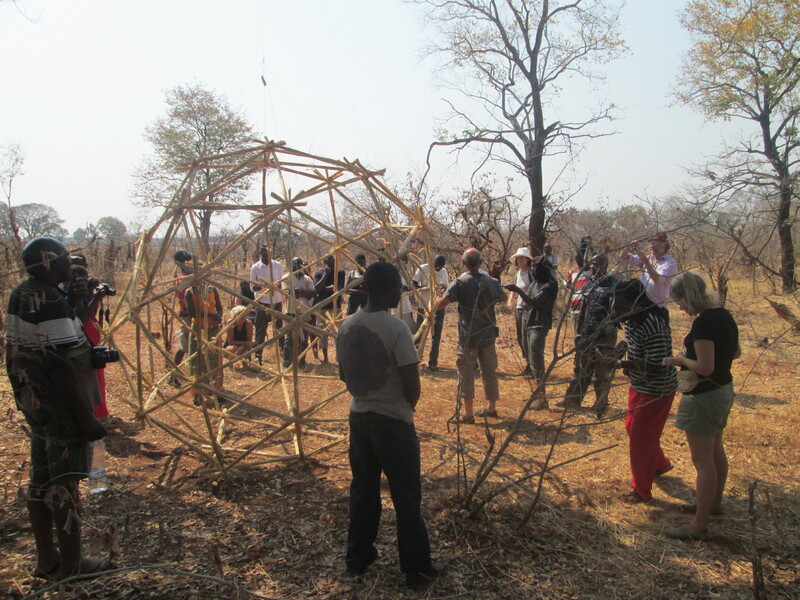 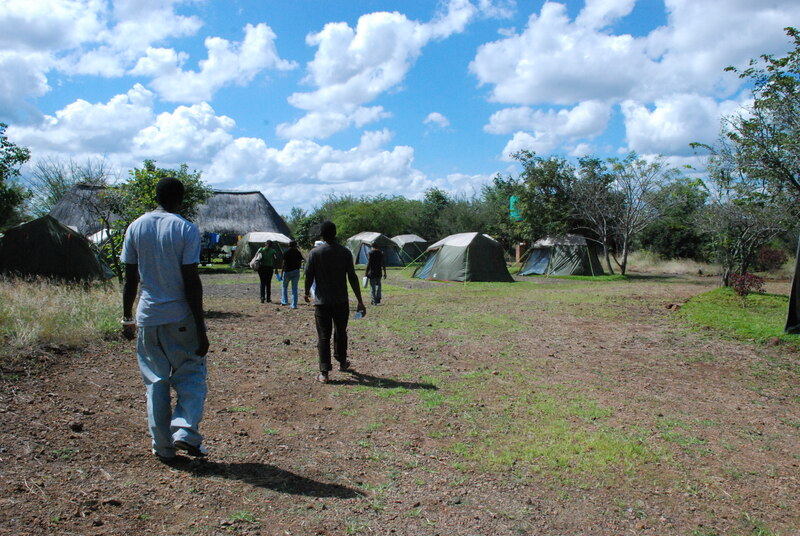 The participants of the Insaka International Artists Workshop 2010 at the Livingstone Museum the tourist capital. 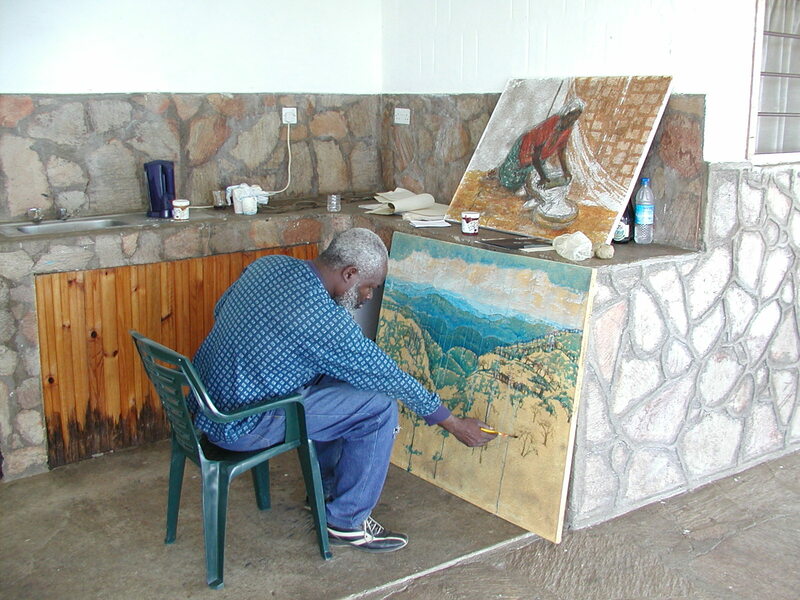 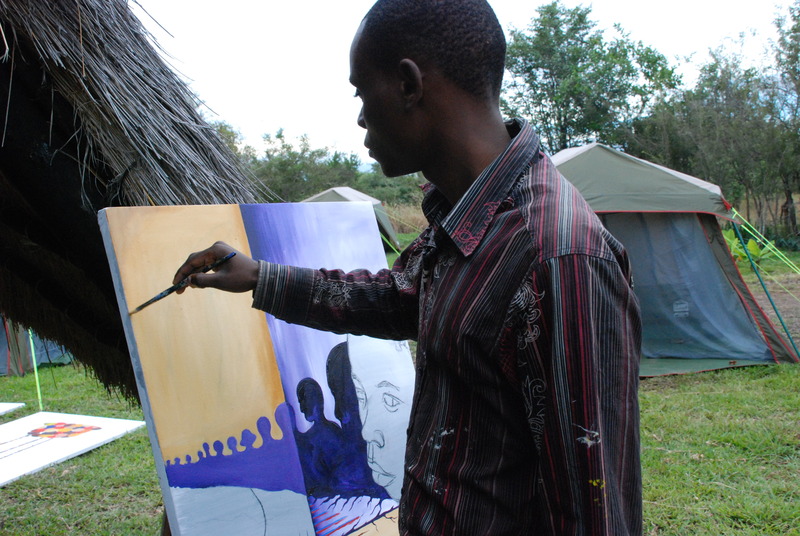 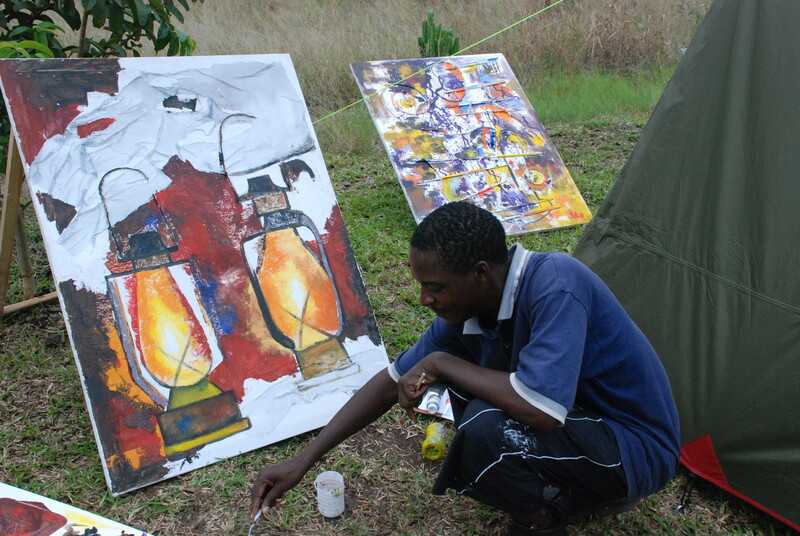 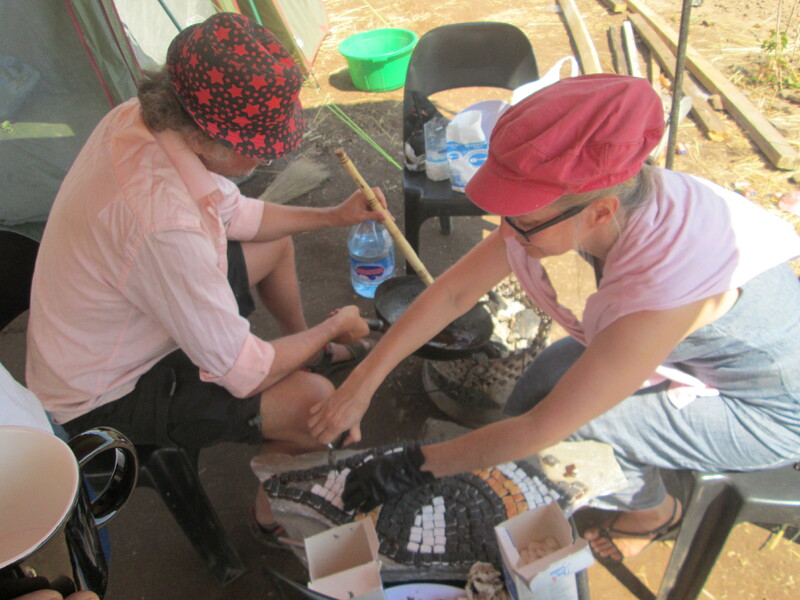 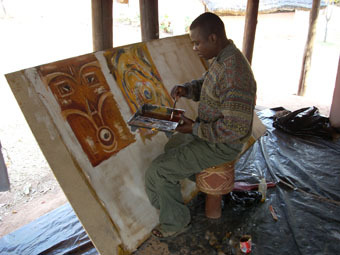 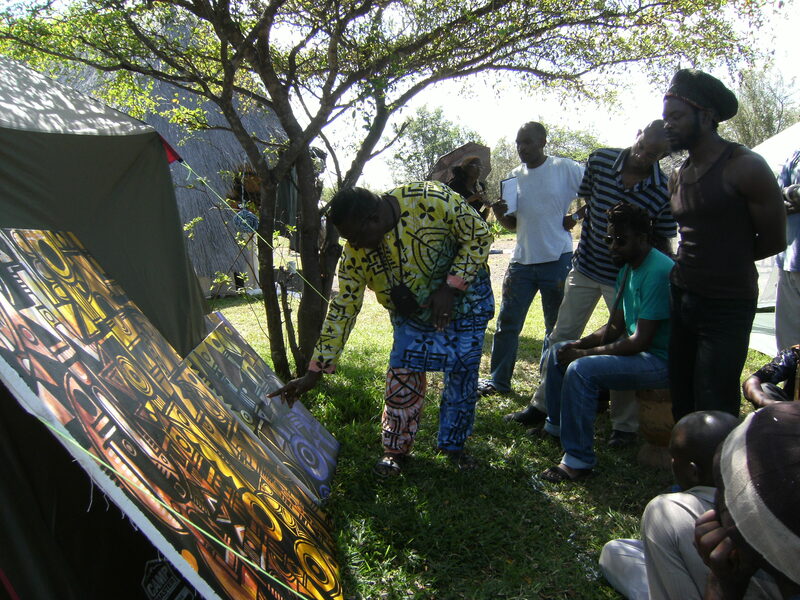 Adrian Musaiwale Ngoma working on his paintings in Siavonga, Insakartists Workshop 2007. 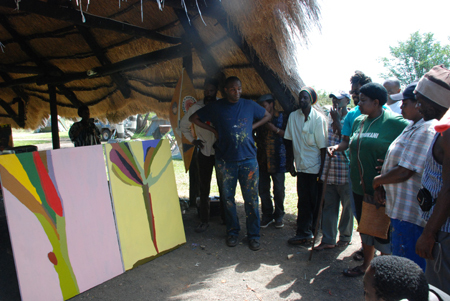 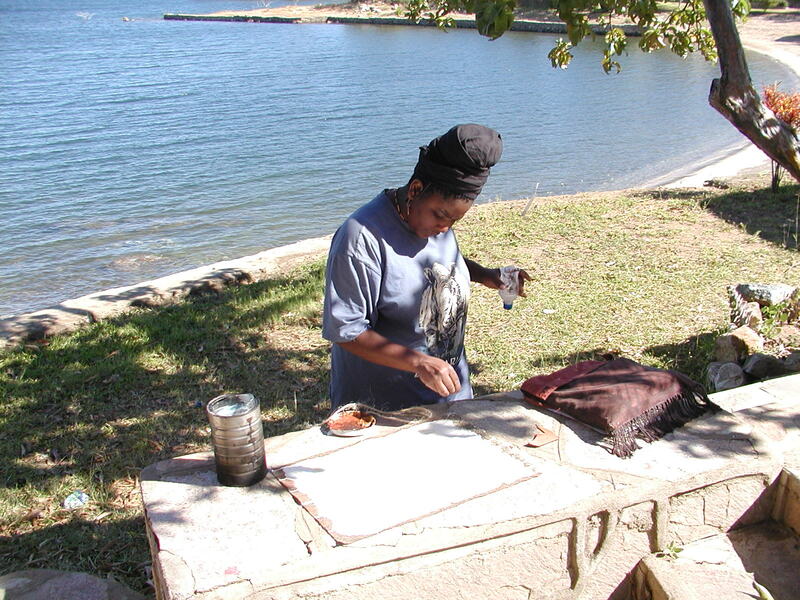 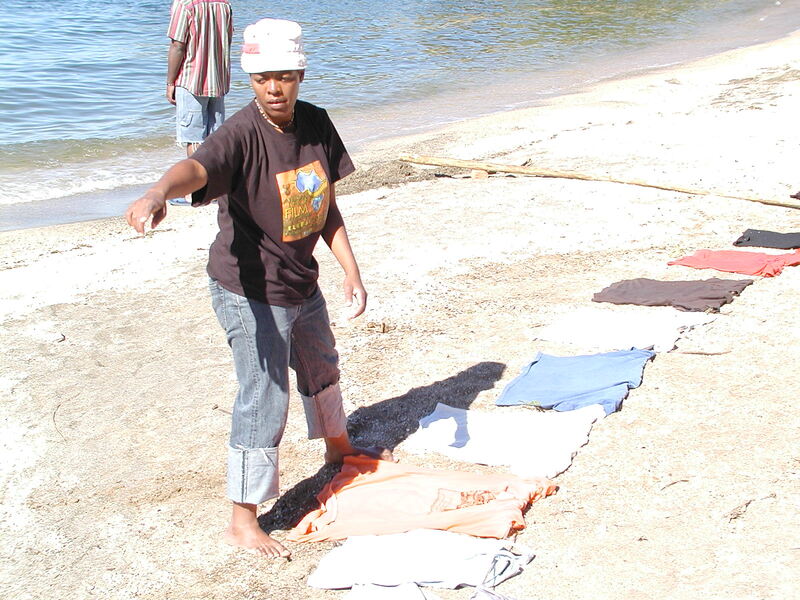 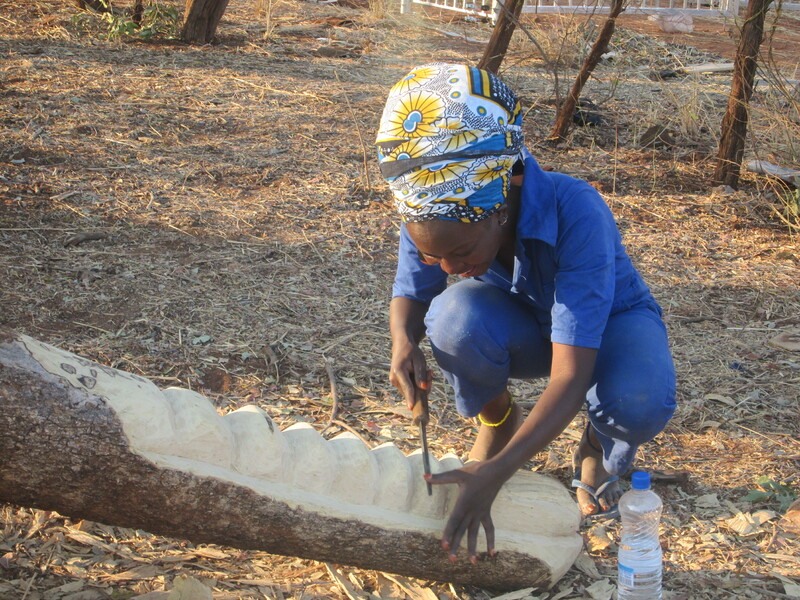 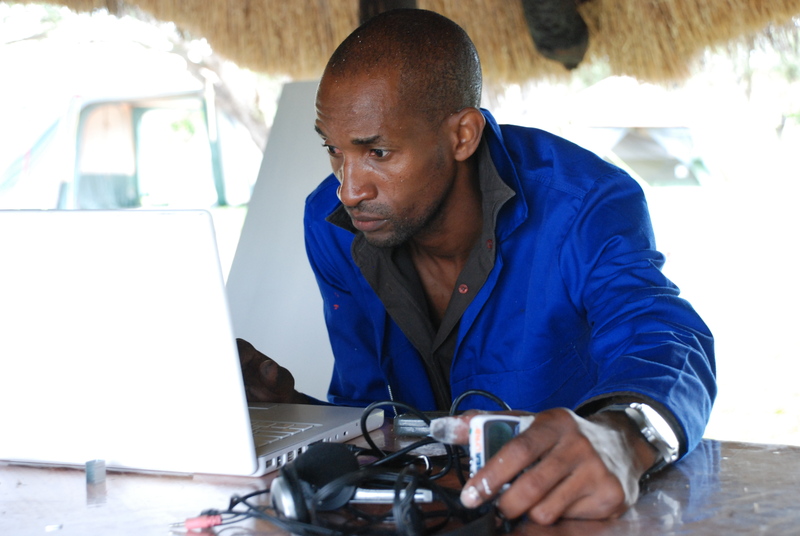 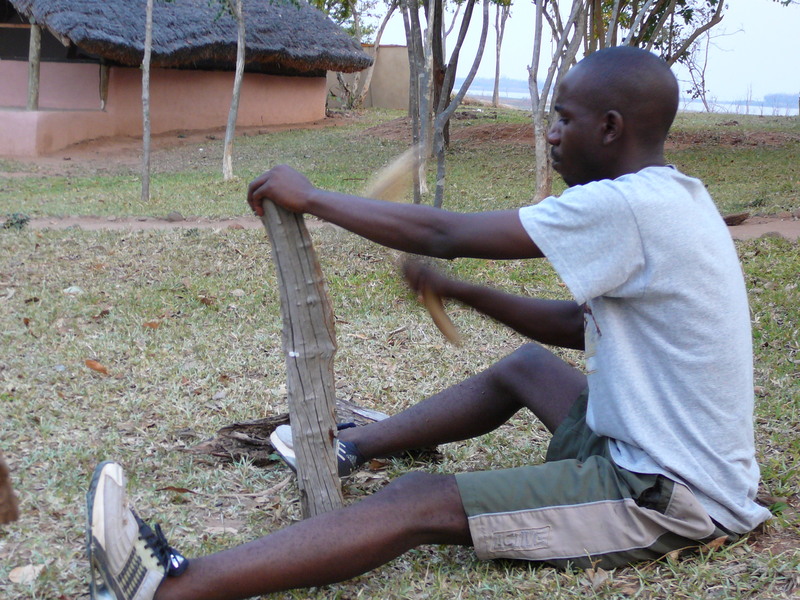 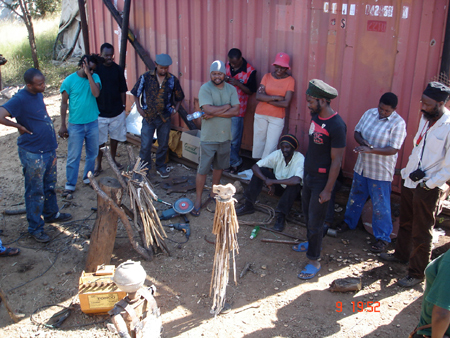 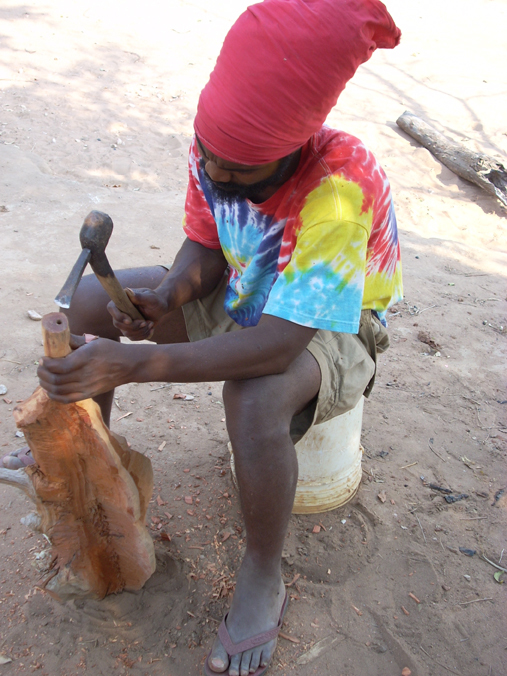 Nsama Lombe at Insaka International Artists Workshop 2007, Butete Bay, Siavonga. 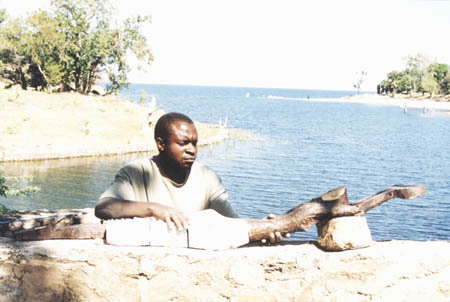 Danny Lwando at the 2004 Insakartists Workshop,Siavonga. 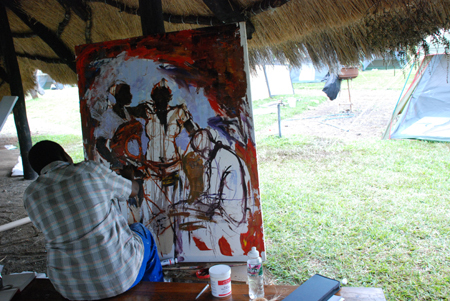 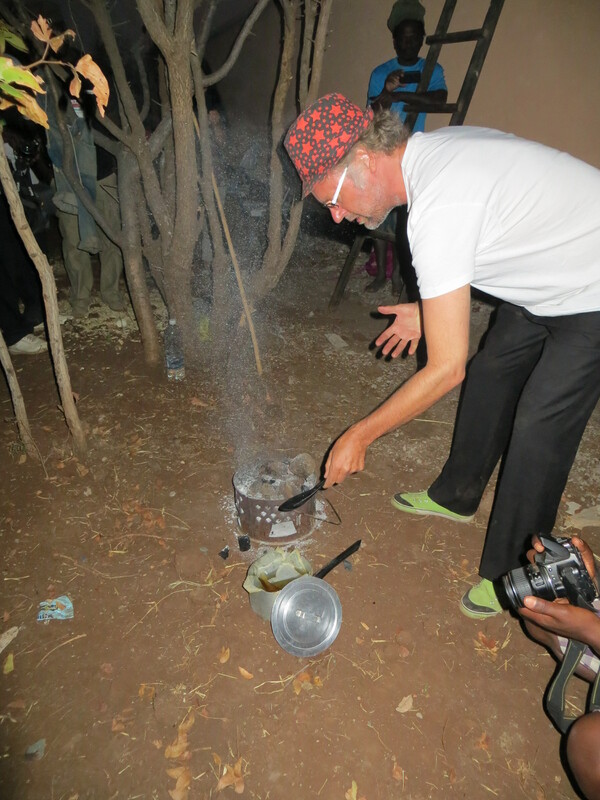 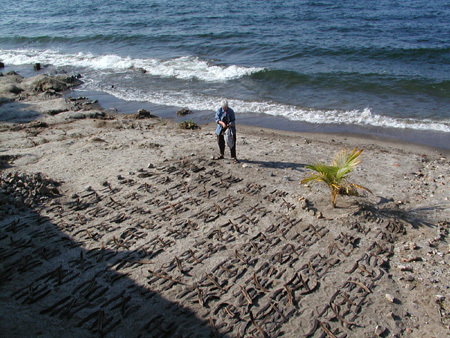 Gamal Nasser performing at art piece scripted by Pat Hickman from USA, 2004 Insakartists Workshop, Siavonga. 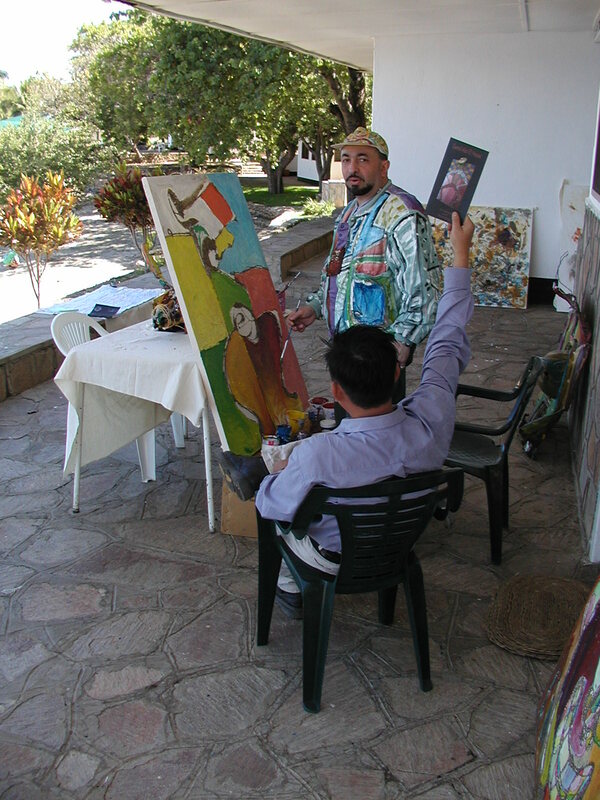 Gamal Nasser and Tran Ngoc Anh at the Insaka International Artists Workshop 2004, Eagles Rest , Siavonga. 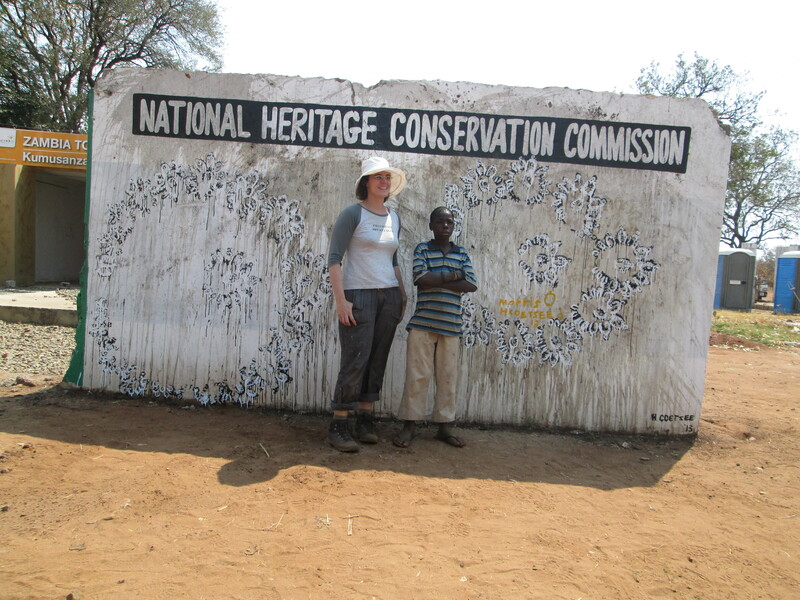 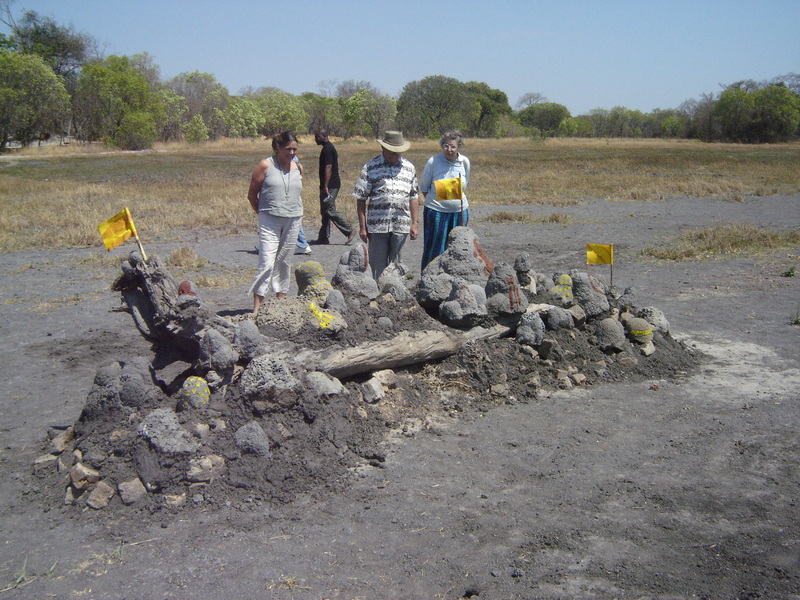 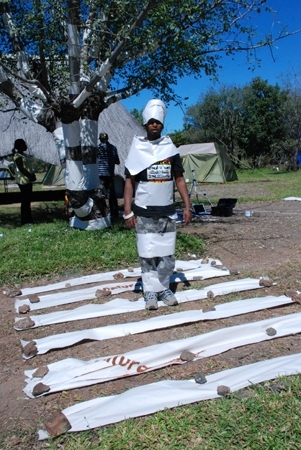 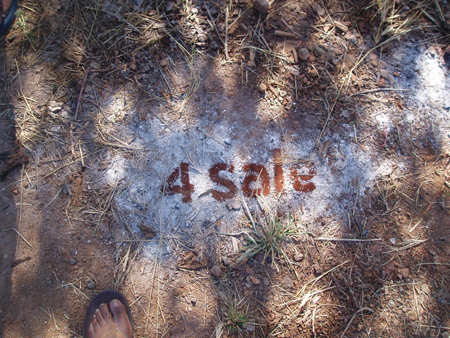 Shepard Nduzo Botswana based artist from Zimbabwe at the Insaka International Artists Workshop 2003.
an installation done at the Insaka International Artists Workshop 2005, Kalinosi Mutale and Bergh Sissel, Chaminuka Nature Reserve.